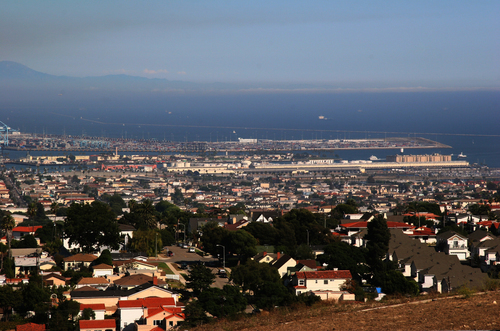 Los Angeles Executive Limousine provides limo service in San Pedro, CA. Los Angeles Executive Limousine is a professional company dedicated to supporting all transportation needs for your personal or business related requirements. We serve top-notch limo service & LA car service to individuals and corporate houses. Lincoln Town Cars, Hummer Limos, SUV’s, Stretch Limousines, Passenger Tour Buses & Limo Party buses are obtainable within the range of vehicles we supply. We don’t charge travel time to pick up in San Pedro. You don’t pay us until the pick up time. There is no travel time charge in airport transportation in any limo or sedan as well. There are flat rates for the airport limousine transportation in San Pedro. Affordable Limousine Airport Transportation for San Pedro. Los Angeles Executive Limousine is licensed as a charter transportation carrier by the Port Authority in Los Angeles to accommodate airport transportation to all Los Angeles and Southern California airports and Cruise Ships and ports. We have a provision of flat rates for the airport limousine transportation. Click on Airport Sedan Rates or Hourly Rates for service rates. Make your moment an unforgettable moment with the assistance of LAEXEC. From proms and weddings to a night out in town or a city tour with your colleagues, we make sure to turn your special day to your best day ever.